You survived high school. You sailed through college. Your breakouts were still showing up in your 20’s. But you hit your 30’s and your acne is still flaring up, and you thought you would be done by now. You’re not alone. Adult acne is more common than you think. But it is different than the acne you had during your teens in several ways. 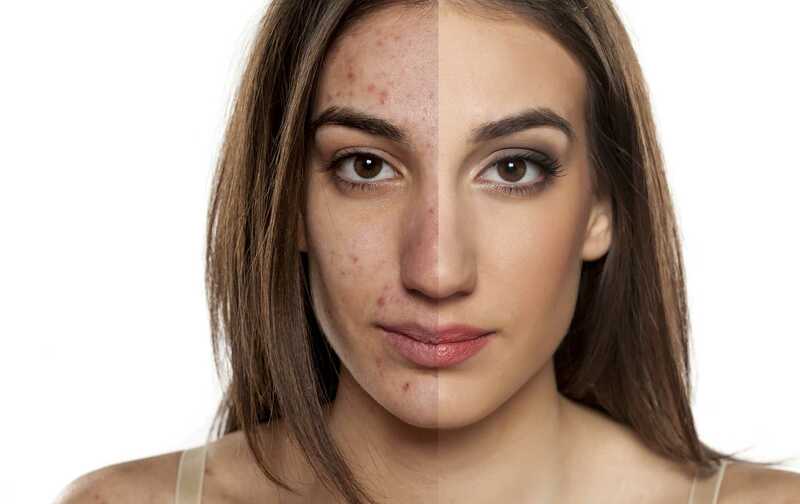 Teenage acne is a hereditary condition, so if either parent suffered from dramatic acne as a teenager, it is likely that their child will as well. It is important for all young children, starting as young as 7 or 8, to learn good skin care habits. The first step in preventing and treating teen and adult hormonal acne is to make the daily activity of cleansing, hydrating and treating the skin a regular part of their daily routine. The key difference in both types of acne is that teenage age is caused by active oil glands and excess oil production, whereas adult acne is caused by hormonal activity. As we age, cell turnover slows down, so in adults, the oil builds up and causes inflammation, cystic acne and pimples. Teenage acne tends to show up all over the face, and back, chest and shoulders. Adult acne is more commonly found on the lower face, chin and jaw line. The way to treat teen acne is also different than the best treatments for adults. For starters, young skin that produces too much oil needs more aggressive treatments to reduce the presence of propionibacterium acnes bacteria and dry up all that oil that causes the areas around nose and cheeks to shine. Adult skin is more fragile, delicate and sensitive, so it tends to dry out more quickly. The best treatments are more gentle and easier to tolerate. In addition, adult women want to be able to wear foundation, so acne therapy needs to allow them to have a smooth surface to apply daily makeup without flaking and peeling. We get a lot of questions about the best way to manage both issues and we offer several options including customized product lines and treatments to fit each client’s needs. Acne treatment options can include microdermabrasion and chemical peels with follow up at home skincare products. We have experienced overwhelmingly positive results with Obagi’s Clenziderm M.D. System. This kit is a 3 step morning and evening therapeutic skincare routine followed with a daily sunscreen and a nightly therapeutic moisturizer. Other options are available to add to these treatments and products so the best place to start is by scheduling a skincare consultation so we can evaluate your specific needs. We know many of you feel like you’ve tried everything out there and have had little success so we strive to work with you to achieve the best results possible. 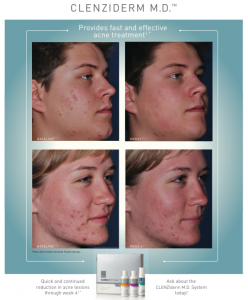 Call us and book a free consultation and let us get you started on your way to clear, blemish free skin.